Goodwill of Central Iowa is ready to help you increase your computer skills! in a new job, a promotion or a career change. growth as you progress through each level. Some of these resources, including Northstar Assessments and Google Applied Digital Skills, require a username and password to log in. 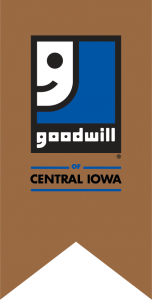 Contact Justin Bogers or any member of the Goodwill Career Connection Center team for more information. Together, Goodwill and Google are empowering people with the digital skills they need to advance their careers and transform their lives. Technology is constantly changing, and having strong digital skills can lead to a successful job search and a fulfilling career. From strengthening basic computer skills to gaining in-depth knowledge of Google software, this digital skills program is designed to fit all levels of experience and interests.